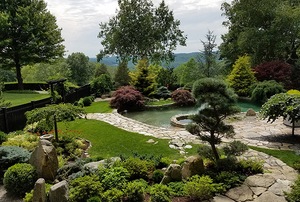 "My husband and I came here to Falls Village, CT, three years ago with the determination to have a simpler garden than the one we left behind at Duck Hill, in North Salem, NY, where I gardened intensely for 34 years. We have been only moderately successful. I will show how the garden is developing here at Church House, how it echoes the garden at Duck Hill in some aspects and differs radically in others. Here, there is an emphasis on connecting to and embracing the wild land. 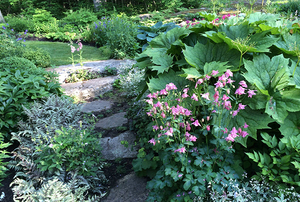 I will talk about the shrubs, trees, roses, and perennials I found I couldn’t live without, and the natives here in our rocky limestone habitat that are a new excitement to me." Page Dickey is a garden writer, lecturer, and designer. 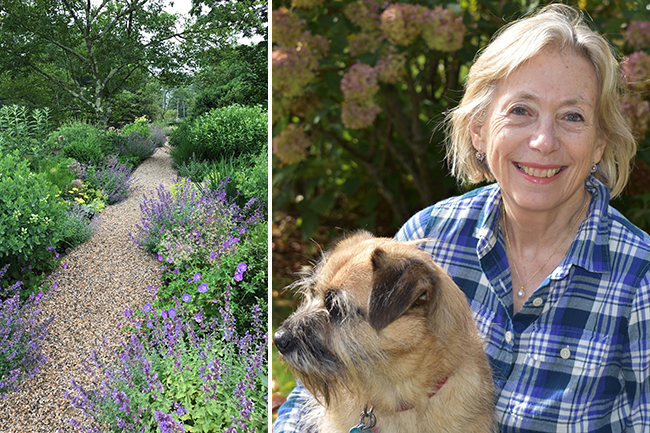 She has written on gardening and garden design over the years for major magazines and newspapers, and is the author of seven books. 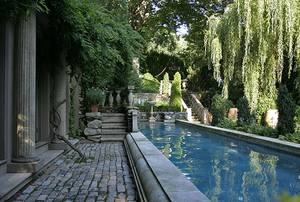 Page is on the board of the Garden Conservancy and cofounded the Open Days Program in 1995. She is also on the boards of Stonecrop Gardens, in Cold Spring, NY, and Hollister House Garden, in Washington, CT.